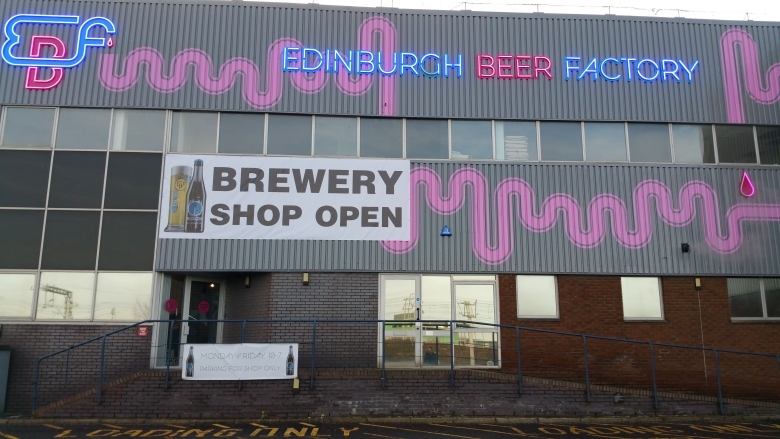 Former Scottish & Newcastle and C&C Group chief executive John Dunsmore has, with his wife Lynne, and daughter, Kirsty, opened a craft brewery in their home city of Edinburgh called The Edinburgh Beer Factory. Edinburgh Beer Factory is “an unashamedly modern, urban microbrewery” housed in a converted industrial unit in the west of the Scottish capital. The modern art brewery is conveniently located on the tram line at Bankhead making it an ideal location for tourists to visit and with high visibility to promote the brand. Mr. Dunsmore said: “We think there is great momentum for new starts to catch the imagination of consumers and there is great momentum in Craft Beer. With a family-owned business there’s no compromise driven by external shareholder pressure – you can make the right decisions based on strong values and a long term perspective. The new brewery was supplied by Enterprise Tondelli as a turnkey project. This included the brew house along with cellar, bottling line, kegger and all services. 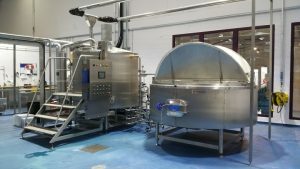 Manufactured in Italy by Simatec of Turin the new brewhouse has the advantages of low hot oxidation, reduced filtering, high extract efficiency and a very fresh taste profile for the beer. This is achieved in a number of ways such as only transferring the wort twice, coupled with the use of a lauter with special lifting rather than cutting rakes. In addition a very flexible computer controlled system means that step mashing is possible as well and the possibility to get extract from fruit and nuts etc. The steam control allows the steam temperature to be regulated by changing the steam pressure so that many different types of beers can be produced from Pils to stouts that can benefit from caramelisation. 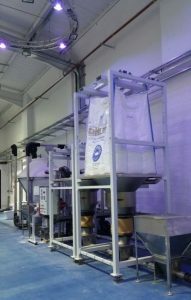 Automatic grain handling allows the use of 1 tonne bags feeding to the mill with smaller hoppers for minor ingredients addition before feeding to a grist case/mash tun. Additionally automatic spent grain removal means that the plant is not labour intensive. Production can easily be increased due to the unique modularity of the brew house system. All of the tank farm comprises cylindro-conical vessels for maximum flexibility and range from 12 hl, 24 hl and 48 hl to allow different batch sizes to be produced as required. Special 0.8 mm internal skins on the tanks mean that the glycol used for cooling has a high velocity for more accurate cooling temperatures to be set. Typically a 48 hl tank has only 50 litres of glycol in the jacket. Inspiration for the first beer was taken from Eduardo Paolozzi, who was born in Leith – and is regarded as the Father of Pop Art. Paolozzi believed in combining contrasting ideas and ordinary objects to create something special. He described it as creating the “sublime in the everyday”. He believed in the dynamic of art meeting science. And he believed in the unconventional. Paolozzi is thus a great inspiration for Edinburgh Beer Factory in setting up its business. Already the beer has one several awards such as Time Out Top 5 Craft Beers in Edinburgh, Scottish Beer Awards who nominated it in their Best Lager or Pilsner of 2016 category and also a Gold Medal from Siba (Society of independent Brewery Association) – twice. 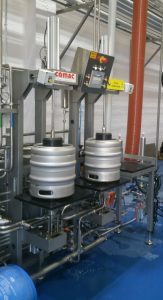 Secondary packaging of the beer is carried out by a twin head kegger with on board caustic and hot water tanks for 30 litre kegs supplied by Enterprise and manufactured by Comac Spa of Italy. Enterprise can supply from single head keggers right to up to some of the fastest keg lines on the market for 1,600 kegs/hr and everything in between. A bottling line was also supplied with three station rotary labeller and filler with double pre evacuation. The filler is monobloced with a rotary rinser and single head crowner located in an enclosed unit. A drier from Eurosistemi followed by a Shrinkwrapper completes the package. An ice bank type refrigeration unit was used which reduces running cost as it makes a charge of coolant with the refrigeration compressor over a 24 hour period which is then used to cool the wort during brewing as well as the tank farm. 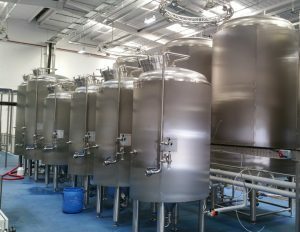 Water services such as water treatment plant, hlt, clt etc complete the Brewhouse. Brewing is an art and The Edinburgh Beer Factory is a studio. The modern art brewery at Bankhead is a stainless steel totem to modernity. With good old-fashioned care, time and creativity thrown in, you’ve got an exciting combination. We’ll only produce beers we think we can genuinely brew better than what’s already out there. Creative; never dull.